Cool them and enjoy !! Great post, thanks for sharing the recipe. Looks like you and your family had some fun baking these! Wonderful!! Banana- walnut - my favourite!! 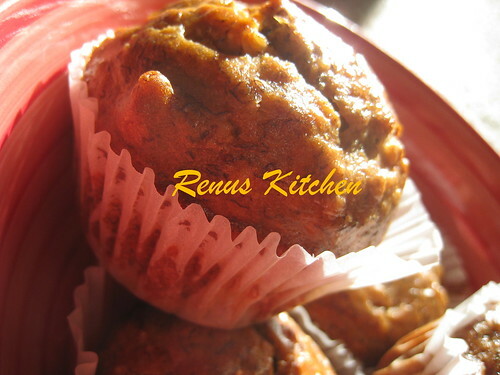 Banana muffins are everyone's favorite and healthy for the kid too... especially he has made it himself. This is something different from what I am used to make. Love the change. Thanks. You make all recipes look so easy & all photographs so real!!! I wish I could have one from my computer screen!!! Thanks for the recipe. Now i have designs to make of this and I tried this yesterday and it turned out perfectly. I am sure my mom would definitely love it. Here The post is really awesome. They looks delicious and healthy. Thanks for sharing this recipe. Its really so useful to me.